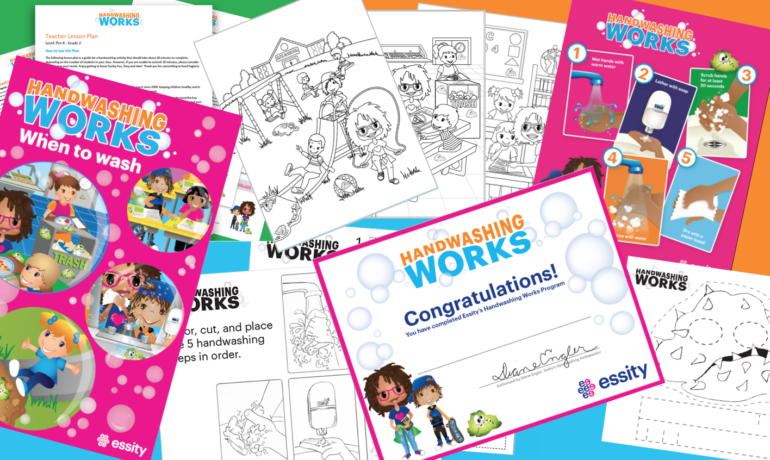 On October 15, 2018– Global Handwashing Day – Essity announced the National launch of Handwashing Works – our hand hygiene education program. Handwashing Works is a turnkey ‘kit’ for teachers that includes which includes engaging activities, a lesson plan and materials for an in-class instructional activity where students learn the key moments when they should wash their hands. The goal of Handwashing Works is to help establish and reinforce proper handwashing habits for children from Pre-K through Second Grade. 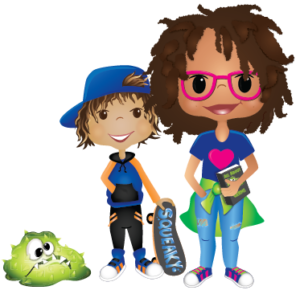 This program’s goal is to decrease the spread of germs throughout schools and in the home. As the CDC stated, the 2017-18 flu season was the worst since 2009. Being prepared for 2018-19 flu season to keep children healthy and in school is more critical than ever, and proper handwashing is an important component of this. What does the lesson entail? No, our handwashing materials are free and blacklight kits will be provided to the first 500 teachers who sign up. Please click here to order a FREE Blacklight Kit for your classroom (while supplies last). Once you order your light kit, you will be taken to a page to download the Handwashing Kit files. Which include a lesson plan, coloring and activity pages, certificates, instruction sheets and posters.